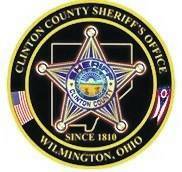 • At 1:34 a.m. on Oct. 28, deputies conducted a traffic stop for no headlights around East Locust and North Walnut Street in Wilmington. During the stop, it was discovered that the driver was a 15-year-old and didn’t have a valid driver’s license and the passengers in the vehicle were intoxicated and underage. • At 1 p.m. on Oct. 29, deputies responded to the elementary school in Clarksville on a report that a message located in a girls restroom that read “there is a bomb in the school.” The Wilmington News Journal reported authorities did a “sweep” of the building of any possible bombs and looked over video surveillance. Superintendent Matt Baker told the News Journal there is a suspect that was identified as an elementary-level student. • At 12:41 p.m. on Oct. 30, deputies received a report of a subject leaving the 100 block of Rice Drive in New Vienna with an unknown person(s) without permission earlier that morning.